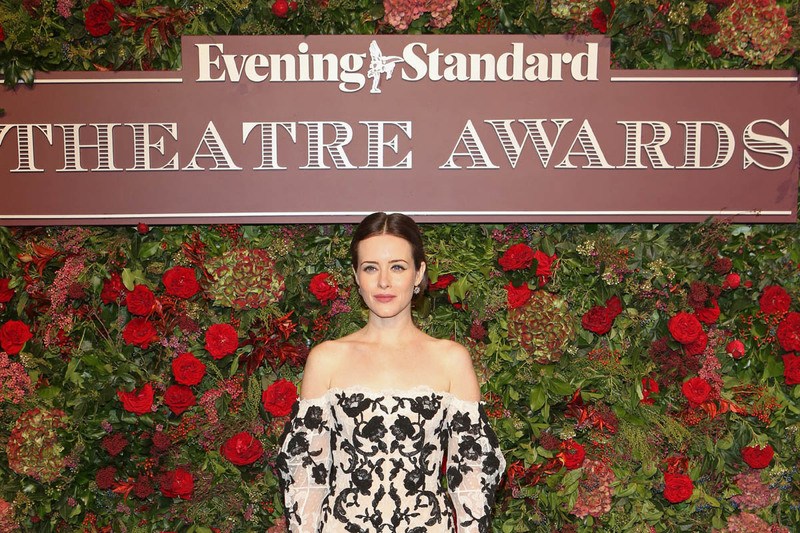 Claire Foy co-hosted the Evening Standard Theater Awards over the weekend, showing up in a McQueen that I wish was either not off the shoulder, or had shorter sleeves, one or the other, because right now the sleeves are doing too much. 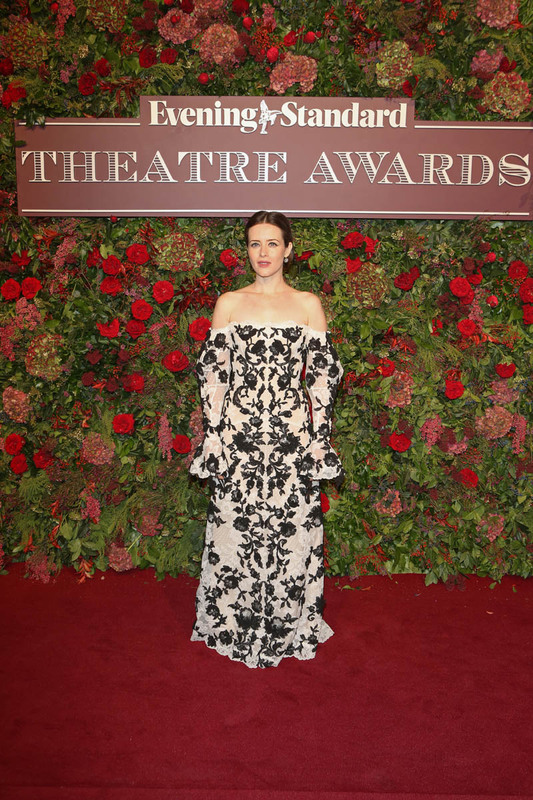 Foy is enjoying the last days of her reign at television’s Queen Elizabeth II—Olivia Colman takes over in the new year—and she’s also working her Oscar odds. It’s the time of year to see and be seen, to keep your name in people’s minds as they drown in screeners. Foy was playing a pair, with First Man and The Girl in the Spider’s Web, but Girl has not impressed anyone and the box office is atrocious. Lisbeth Salander is not doing for Claire Foy what she did for Rooney Mara. So that’s out. But it still leaves First Man. That movie has done mediocre at the box office, and its Oscar odds have faded without that support to keep it in people’s minds as we get into the heart of award season. It seems likely we’re going to use the full ten Best Picture nominees this year, but First Man has lost so much traction it would be lucky to squeeze in at #10. I wouldn’t count Foy out, though. 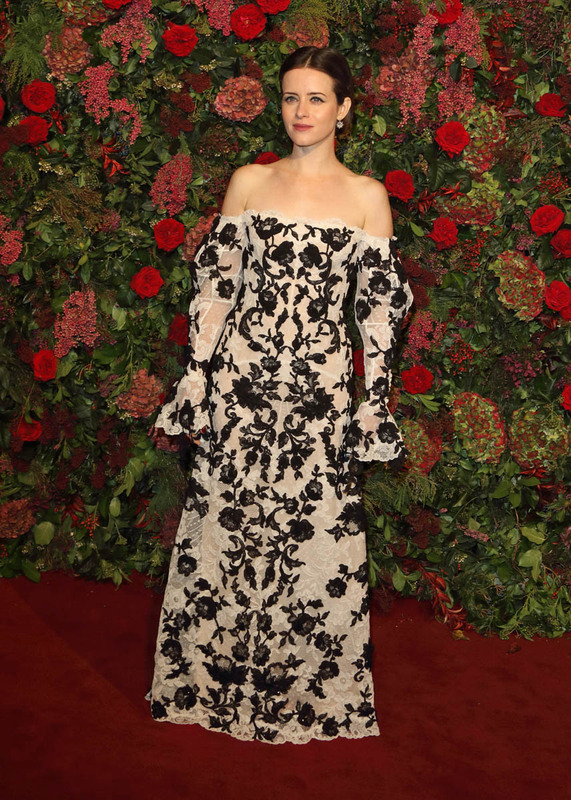 For one thing, everyone loves her on The Crown, and yes, technically, the Oscars are about one film performance, but we know that’s not what really matters. If it was, there would be no discussion of who is due every year. And for another, in First Man Foy is playing the stressed out wife of a Great Man. The Academy LOVES stressed out wives of Great Men. I don’t think Foy is a shoo-in the way I think Regina King is, but I’m not ready to write her off yet. Lisbeth Salander isn’t helping, but no one is holding it against her, either. And she gives an A+ stressed-out wife performance. For now, I’m keeping her penciled in as the fifth Supporting Actress.